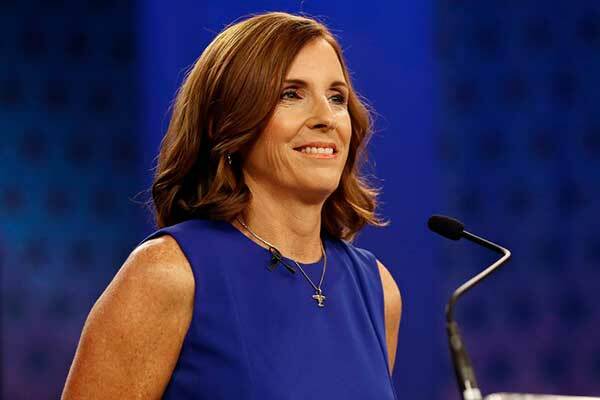 PHOENIX – Governor Doug Ducey has announced the appointment of U.S. Representative Martha McSally (AZ-02) to the United States Senate, following the resignation of U.S. Senator Jon Kyl. Governor Ducey appointed Senator Kyl to the Senate in September of 2018, filling the seat vacated by the late Senator John McCain. Senator Kyl’s resignation from the Senate will be effective December 31, 2018. Representative Martha McSally represents Arizona’s Second Congressional District in the U.S. House of Representatives, where she serves on the Armed Services and Homeland Security Committees and chairs the Border and Maritime Security Subcommittee. A graduate of the United States Air Force Academy, Martha served in our nation’s military for 26 years, retiring as a full Colonel in 2010. During her military career, she deployed to the Middle East and Afghanistan six times and was the first woman in U.S. history to fly a fighter jet in combat and the first woman to command a fighter squadron. In 2001, Martha sued the Department of Defense over a discriminatory policy that forced female service members to wear Muslim garb overseas. She successfully fought to overturn the policy, ultimately shepherding legislation that passed both chambers of Congress and was signed into law. Over her two terms in the House, Martha has been repeatedly ranked one of the most effective members of Congress. She lives in Tucson, Arizona.